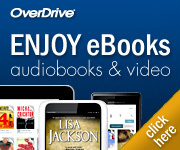 Good morning everyone, here are our suggested daily recommended titles in print and digital formats! They lived in Prussia, Massachusetts, Washington, Russia, and England, at royal courts, on farms, in cities, and in the White House. Louisa saw more of Europe and America than nearly any other woman of her time. But wherever she lived, she was always pressing her nose against the glass, not quite sure whether she was looking in or out. The other members of the Adams family could take their identity for granted—they were Adamses; they were Americans—but she had to invent her own. The story of Louisa Catherine Adams is one of a woman who forged a sense of self. As the country her husband led found its place in the world, she found a voice. That voice resonates still. 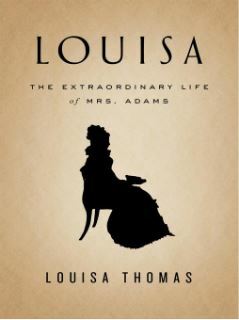 In this deeply felt biography, the talented journalist and historian Louisa Thomas finally gives Louisa Catherine Adams’s full extraordinary life its due. An intimate portrait of a remarkable woman, a complicated marriage, and a pivotal historical moment, Louisa Thomas’s biography is a masterful work from an elegant storyteller. In late summer 1947, thirty-one-year-old Yitzhak Goldah, a camp survivor, arrives in Savannah to live with his only remaining relatives. They are Abe and Pearl Jesler, older, childless, and an integral part of the thriving Jewish community that has been in Georgia since the founding of the colony. There, Yitzhak discovers a fractured world, where Reform and Conservative Jews live separate lives–distinctions, to him, that are meaningless given what he has been through. He further complicates things when, much to the Jeslers’ dismay, he falls in love with Eva, a young widow within the Reform community. When a woman from Yitzhak’s past suddenly appears–one who is even more shattered by the war than he is–Yitzhak must choose between a dark and tortured familiarity and the promise of a bright new life. 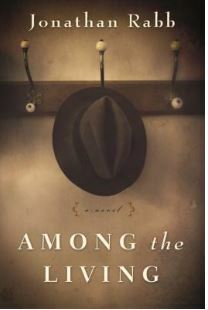 Set amid the backdrop of America’s postwar south, Among the Livinggrapples with questions of identity and belonging, and steps beyond the Jewish experience as it situates Yitzhak’s story within the last gasp of the Jim Crow era. That he begins to find echoes of his recent past in the lives of the black family who work for the Jeslers–an affinity he does not share with the Jeslers themselves–both surprises and convinces Yitzhak that his choices are not as clear-cut as he might think.